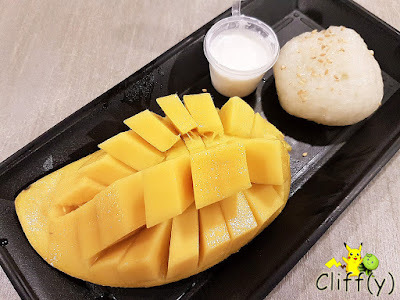 Lovely sticky rice dessert with such a sweet mango! More often than not, I find myself craving for Thai mango sticky rice. 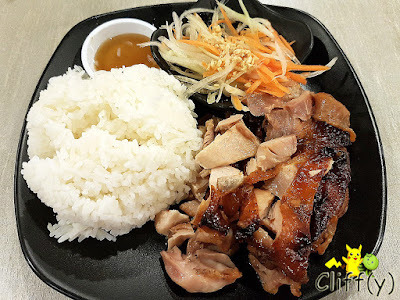 Given that I was wandering about Changi Airport Terminal 3, I decided to have lunch at the eye-catching Aoy's Thai Noodle Bar that whips up some street food commonly found in the Land of Smiles. If not for the mango sticky rice, I probably wouldn't think of dropping by the self-service eatery out. 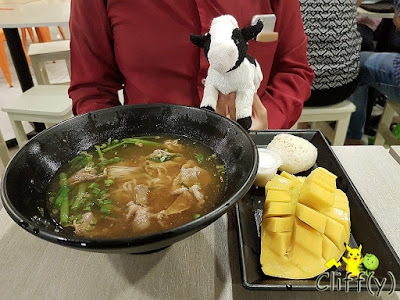 As one of the two signature main courses, the other one featuring chicken meat, the beef noodle soup was better than average. 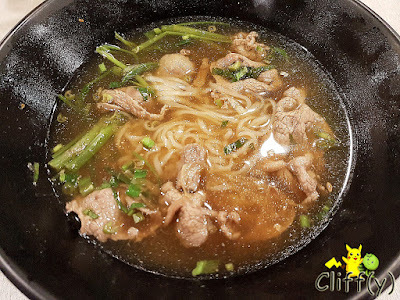 The noodle was springy, while the beef slices and meatballs were quite tender. The broth was mildly sweet, but not as amazing as expected. The rice dish was more appetising, thanks to the pretty succulent white meat that was marinated well. Its mild sweetness was balanced by the fish sauce provided on the side. The papaya salad could be fresher though, and it wasn't tangy enough for my liking. Indeed, the item that made my tongue did the tango dance was the mango sticky rice. Even though they could be slightly more generous with the amount of sticky rice, I wasn't complaining as it was executed well. The coconut milk was thick enough with the right amount of salt, while the mango was truly sweet. 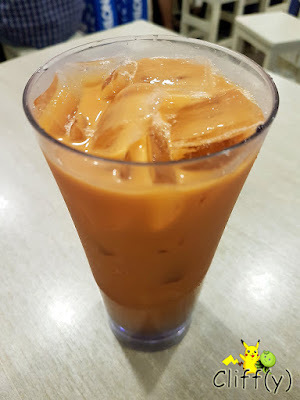 I was hoping that the Thai milk tea would be richer, but it was adequately smooth and sweet. Although not too strong, the aroma was there. I was certainly thankful for the fact that it wasn't dilute. Pika's advice: For S$0.80 less, you can get the hot version, which probably is going to be. Given the price and quality, I was pretty satisfied with my lunch. I'd certainly love to go back for the mango sticky rice.